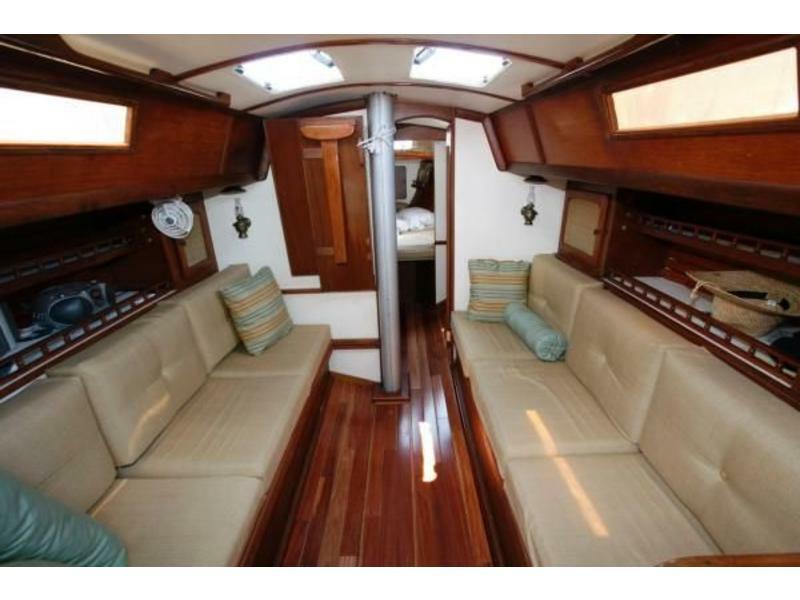 Entering through companion way the first thing you’ll notice is the newly upholstered cushions and new teak flooring w/Brazilian Rosewood centerline. 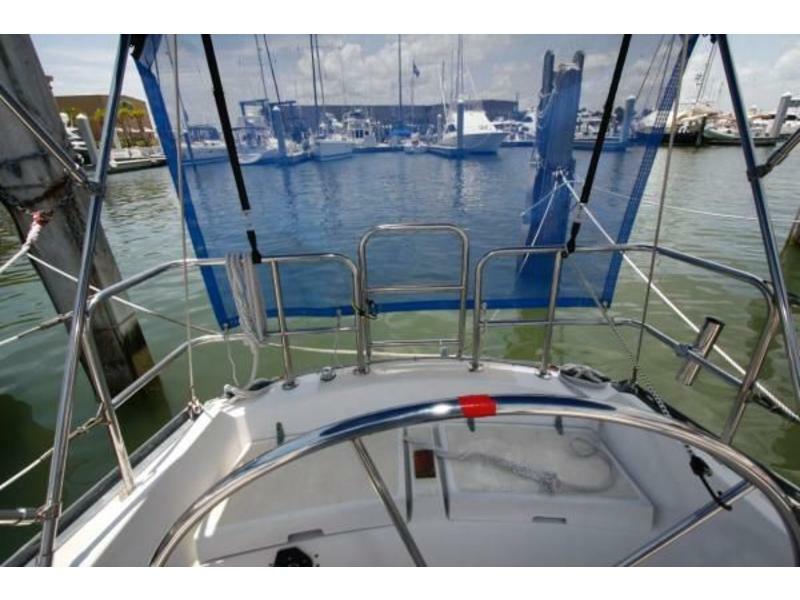 To starboard and aft is a quarter berth w/fold down nav station just forward. 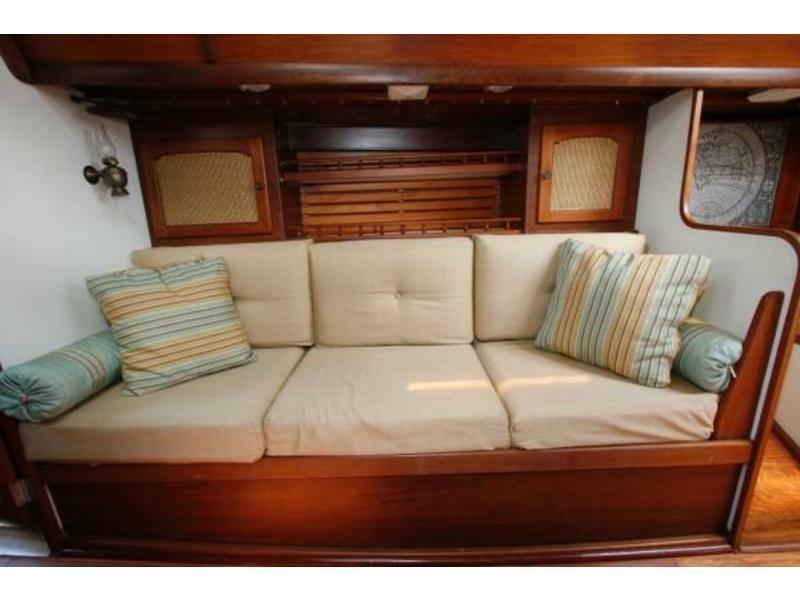 Further to starboard is a comfortable settee with storage behind the heads up to storage closet. 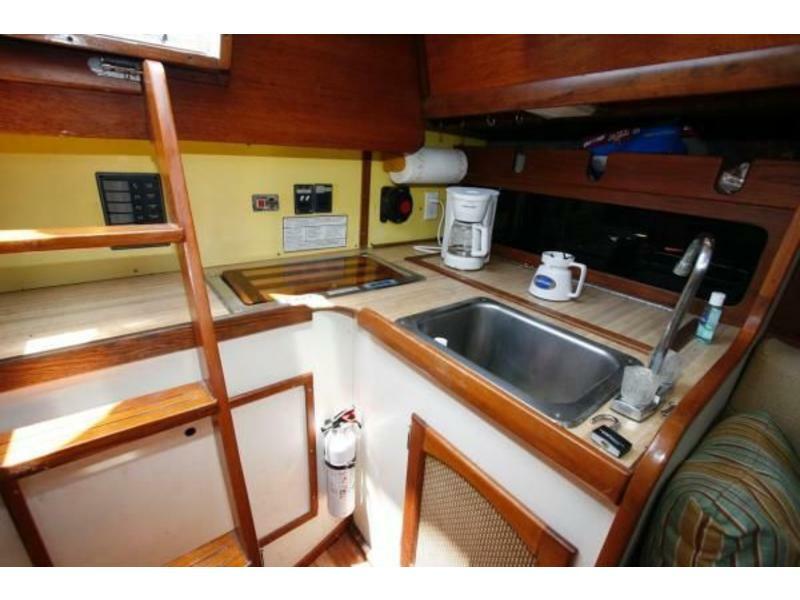 From the Vberth and aft to port is the Head w/new Jabsco toilet, hot ‘n cold water sink w/counter, new opening ports and storage above and below. 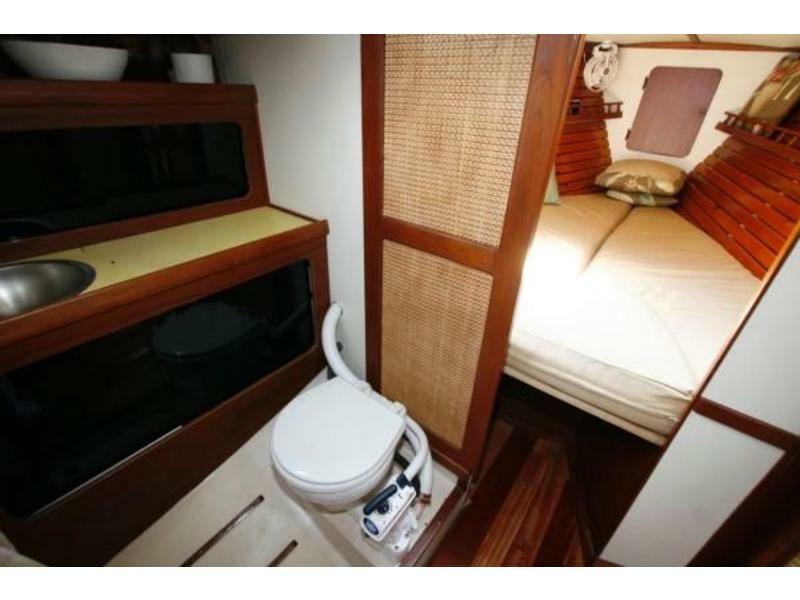 Privacy doors separate the Vberth and the Salon. 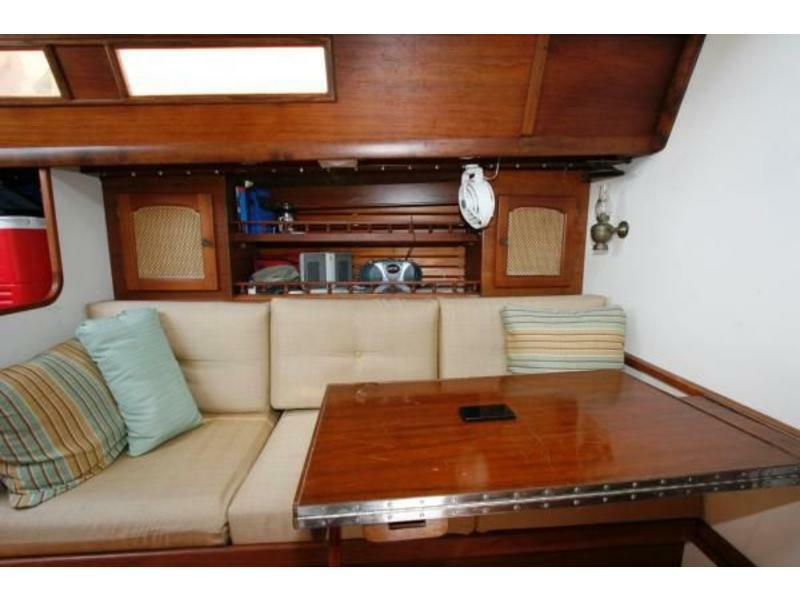 To port and leading aft is another settee w/storage behind and a fold down table (half/full option). 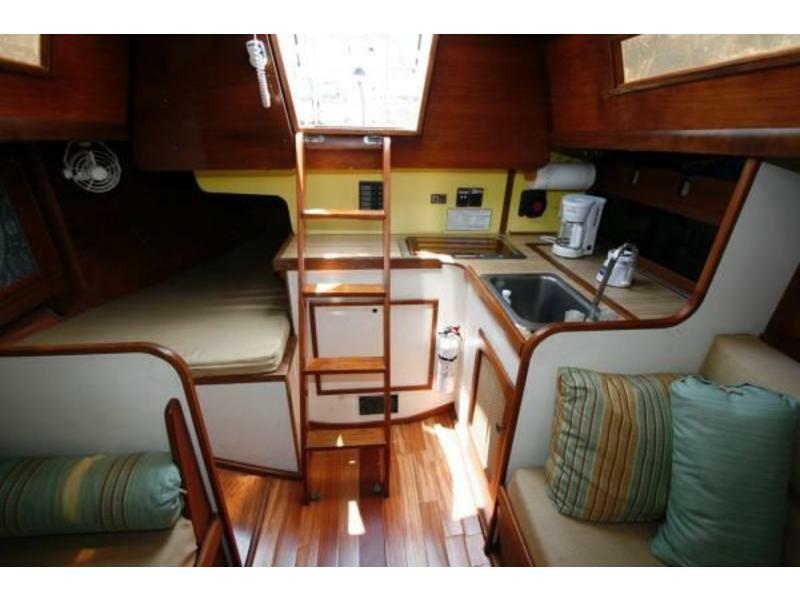 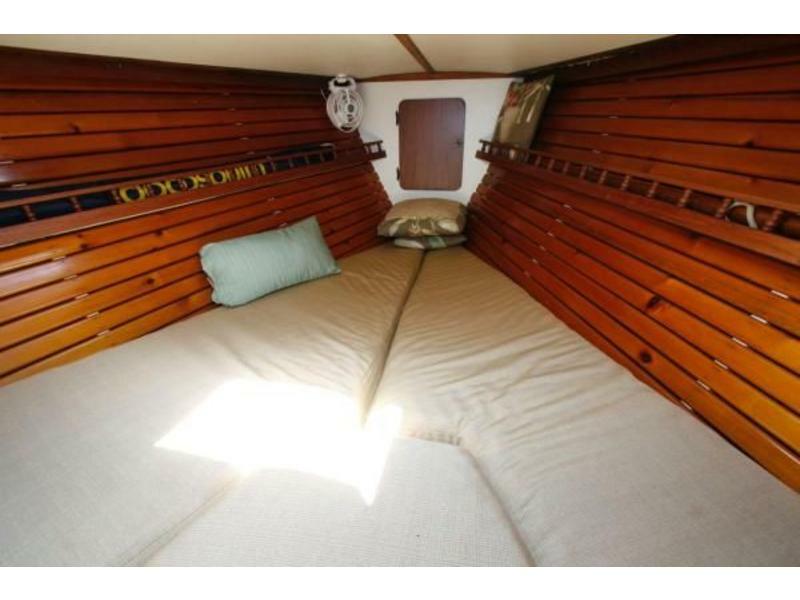 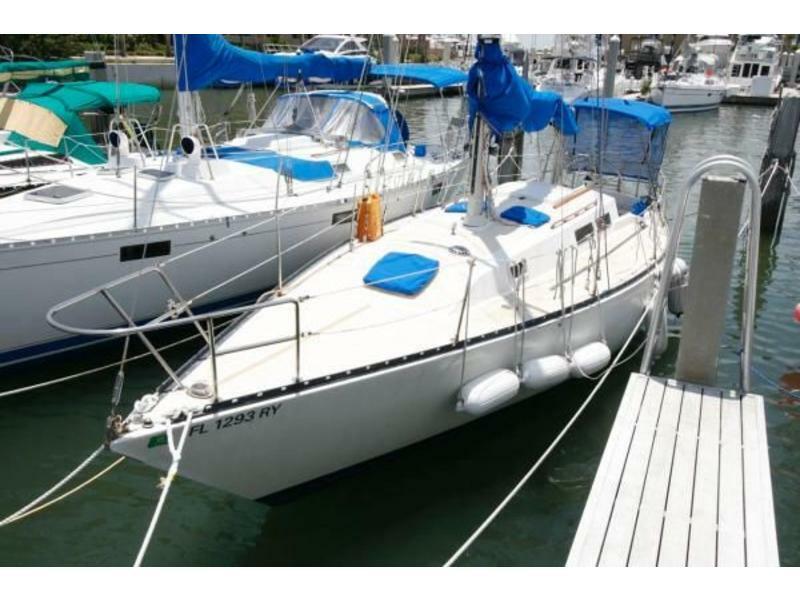 Further aft is the Galley w/deep stainless sink, hot ‘n cold pressurized facet, icebox, plenty of storage capacity and Kenyon stove (not verified operational). 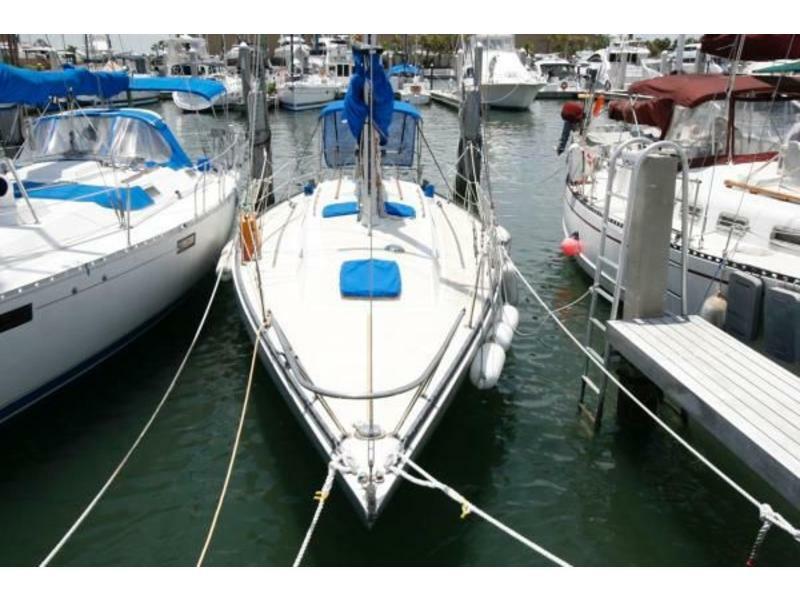 She is U.S. Coast Guard equipped including new flares and 3 new fire extinquishers. 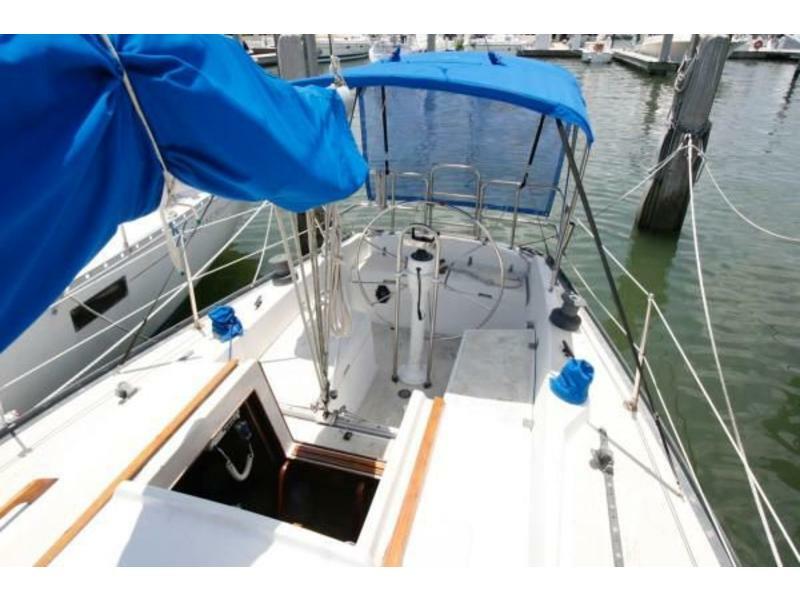 This boat could use a re-coat of non-skid on deck and in cockpit. 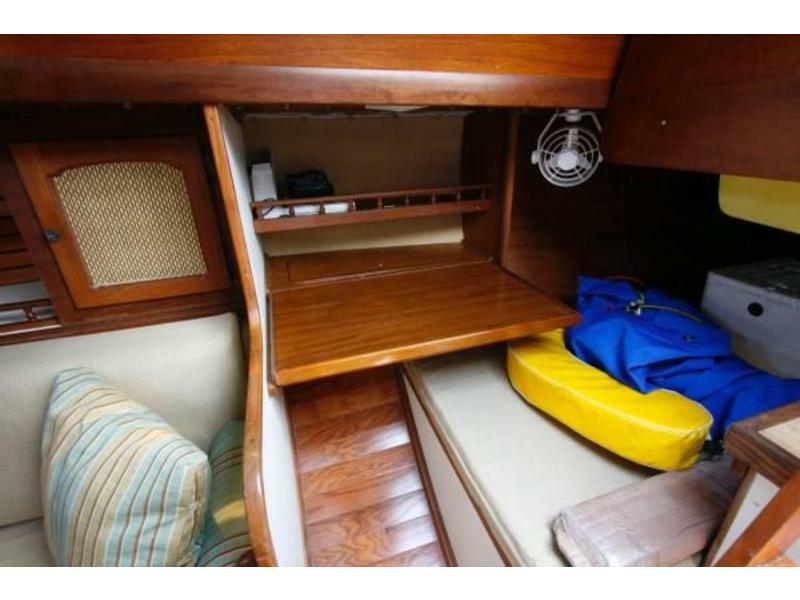 There are also some small sections of headliner on the interior that needs completion. 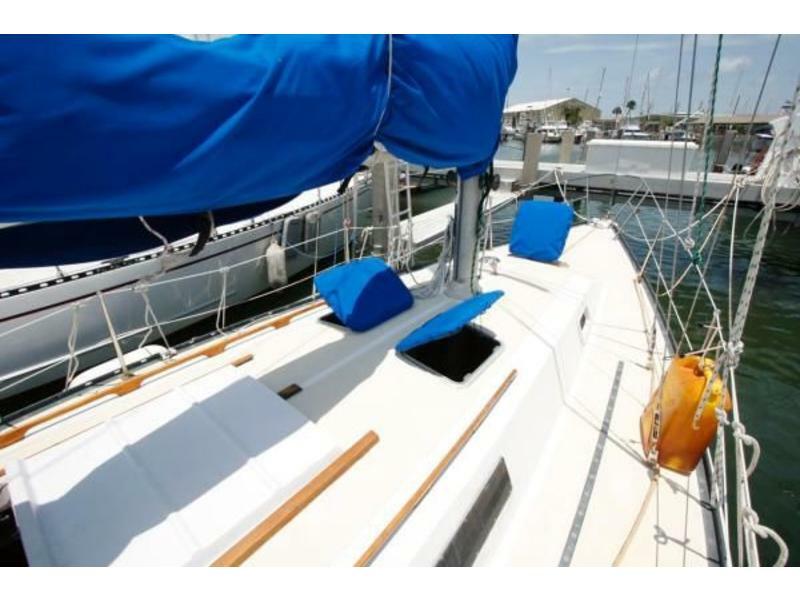 Otherwise she’s been well maintained, upgraded and is in sail away condition.